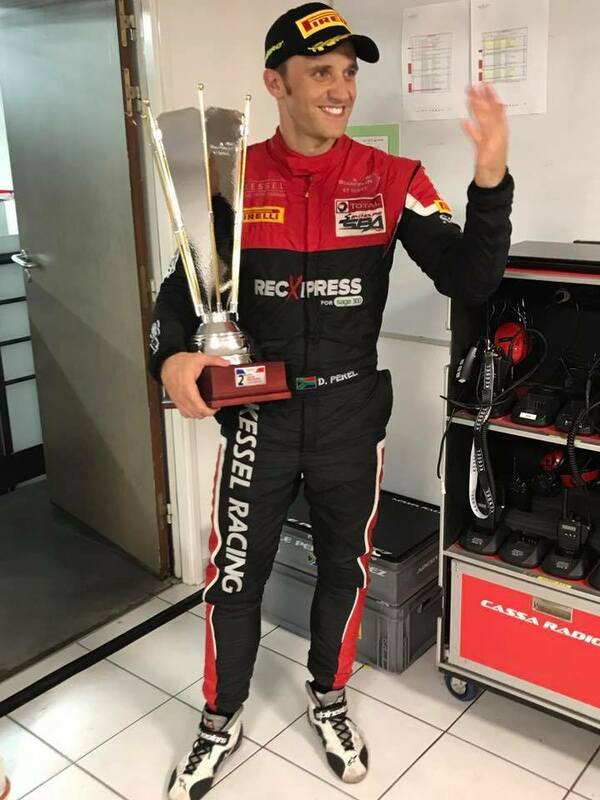 Having just come off of two wins in a row in the Blancpain Sprint Series, David Perel was planning to carry that momentum into the Endurance Series at the Paul Ricard 6 Hour in France, held on the weekend of June 23rd. Against a field of 60 cars and 180 drivers, Perel’s performance out the gate far exceeded expectations: he led the first free practice session and was 2nd in the next. A small mistake, however, meant that qualifying did not go according to plan, with David qualifying 2nd in Class. The status quo in the AM Class remained for the first four hours of the six hour endurance race: the #888 Ferrari 488 GT3 run by Kessel Racing was lying 2nd in class, one lap behind the leaders. In a six hour endurance race, each of the three co-drivers is required to race for two hours, and given David’s form, the team chose to put him in during the final two hours in order to catch the class leaders. It was the right move – Perel quickly started eating into the lead at over three seconds per lap (a similar pace to the factory Ferrari drives), eventually unlapping the #888. With ten minutes to go, the #36 BMW had a marginal fifteen second lead thanks to Perel’s determination; but the Ferrari was served with a drive through penalty for a technical infringement, which could potentially cost the race win. As Perel crossed the line in 2nd place, however, it became apparent that the leading BMW had also been guilty of an infringement – although this one was more severe. Having skipped one of the five required pit stops, thirty seconds was added to their time, handing the win to Perel and his co-drivers Marco Zanuttini and Jacques Duyver. This win is the first for Perel in the Endurance Series and now puts him in the lead of all three Blancpain GT Championships.